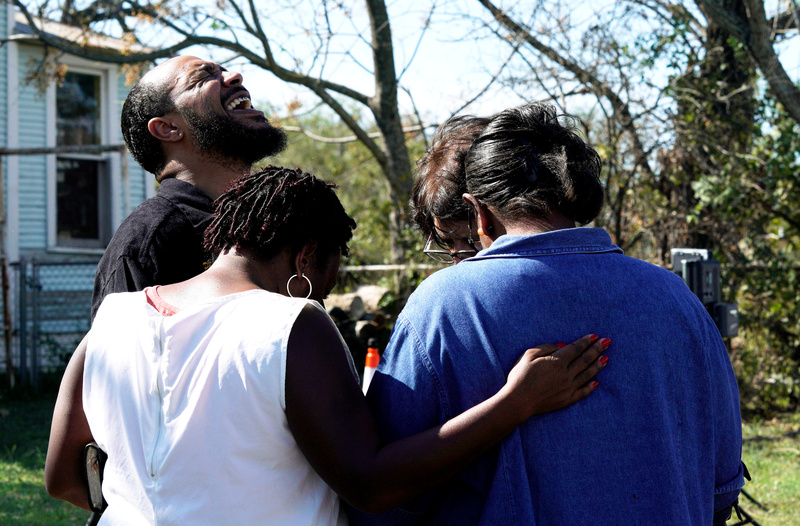 AUSTIN, Texas—The pastor of a rural Texas church sprayed with gunfire in a shooting rampage that killed 26 people is considering demolishing the building and putting a memorial in its place, a Southern Baptist Convention official said on Thursday. 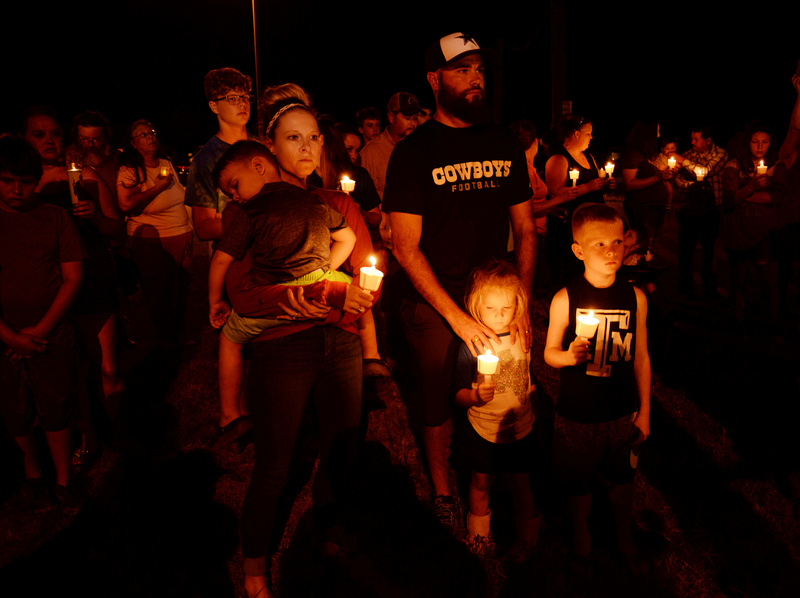 Devin Kelley, the 26-year-old gunman, stormed into the Sutherland Springs First Baptist Church on Sunday and opened fire on worshipers with a semi-automatic assault rifle in the deadliest mass shooting in modern Texas history. Authorities said the attack stemmed from a domestic dispute. Pastor Frank Pomeroy met with Southern Baptist Convention leaders, who came to help console victims, and “expressed his desire to raze the building,” convention spokesman Roger Oldham said in a telephone interview. The white-steepled church, located about 40 miles east of San Antonio, was riddled with bullets. The building can hold about 75 people. Pomeroy said using it again could be emotionally painful, according to Oldham. After making a statement on the shooting on Monday, Pomeroy has declined requests to speak with the media. 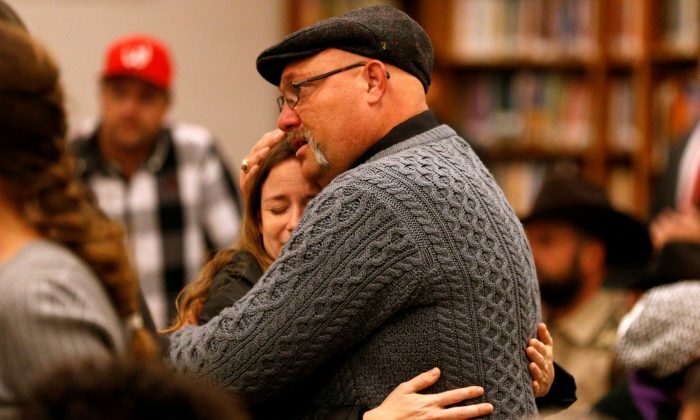 Pomeroy and his wife, Sherri, were out of town during the shooting, which killed their 14-year-old daughter. The pastor is considering planting a memorial garden on the site, Oldham said. A worship service will take place on Sunday in Sutherland Springs behind a community center not far from the church, Sherri Pomeroy posted on Facebook on Thursday. The service will “show the world that we may be knocked down temporarily but WE ARE NOT DEFEATED,” she wrote. “Please come help us honor their lives doing what they died for: worshipping our sovereign God!” Authorities have said Kelley, found dead from a self-inflicted gunshot wound to the head after a failed attempt to make his getaway, was embroiled in a domestic dispute involving the parents of his second wife. One of the women killed at the church, Lula Woicinski White, 71, was reported to be the gunman’s grandmother-in-law. Kelley is a former Air Force airman who was convicted in 2012 by court-martial for assaulting his first wife and infant step-son. He served a year in military detention. 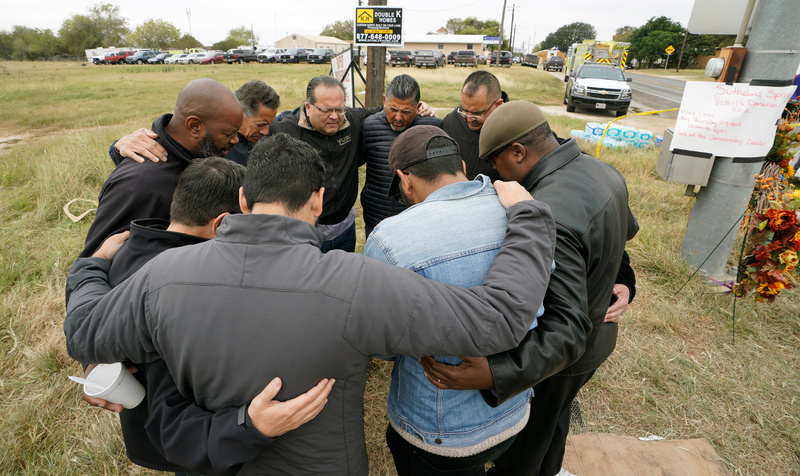 Vice President Mike Pence, U.S. Attorney General Jeff Sessions, and Texas Governor Greg Abbott were among those who attended a prayer vigil on Wednesday evening at a high school football stadium in nearby Floresville.